B for Bag has put together some interesting bag facts and quotes. This is just for fun and should be taken with a "pinch of salt". There is no serious research behind some of the facts, more word of the mouth kind of thing. 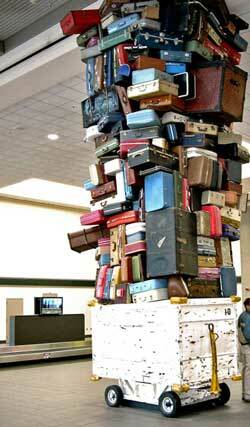 According to the Oxford English Dictionary, the word luggage entered printed English in 1596. The word derived from the verb “lug,” as in “that which needs to be lugged about”. Shakespeare used the word luggage in 1597 in Henry IV where the King’s son Hal asks his friend to “bring your luggage nobly on your back”. It is estimated that between 0.5 - 1% of all check-in bags fail to meet up with their owners at the arrival airport but 80-90% are located within 24 hours and 95-98% within 5 days. 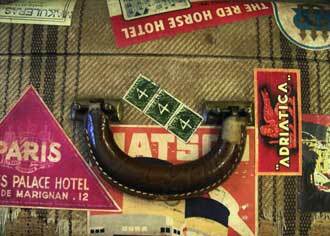 Luggage is officially declared lost if it has not been returned to its rightful owner within 21 days. It is estimated that 1 million bags worldwide were never re-united with their owners in 2011. B for Bag hopes you enjoyed these random bag facts and quotes.